Jefferson County Sports Authority (JCSA) is pleased to announce that Affordable Gas + Electric (AGE) has made a three-year commitment to become the Title Sponsor for the Pony Baseball “Pinto International Baseball Classic”, known as the Pinto 8-year old and under World Series. 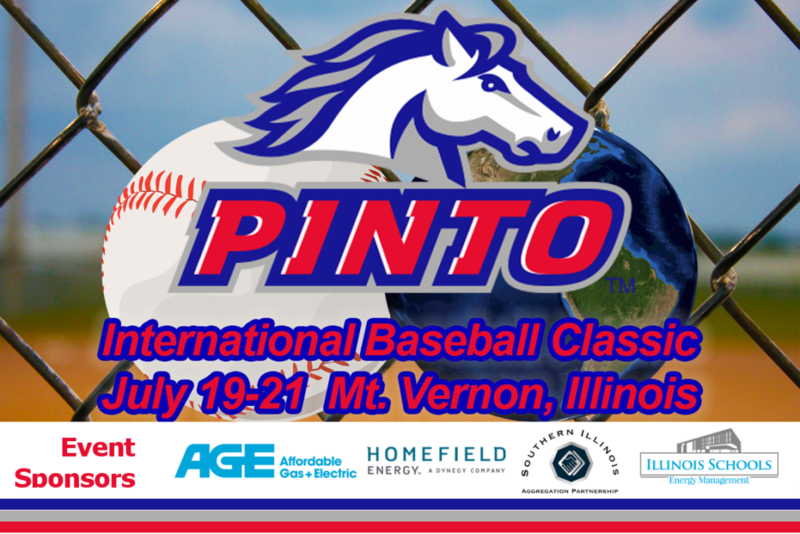 The Pinto World Series will be held July 19-21 at Cusumano Sports Complex in Mt. Vernon, IL and features teams from the United States and around the world. AGE and Select Energy Partners jointly manage over 100 communities known as the Southern Illinois Aggregation Partnership. Homefield Energy, who currently serves electricity to all residents in communities participating under the Southern Illinois Aggregation Partnership, is a contributor to this year’s Title Sponsorship. “We are so proud to be part of the Pinto International Baseball Classic, a wonderful new tradition, shining a spotlight on Southern Illinois” said Anna Baluyot, Managing Partner of Select Energy Partners. “We are also very excited that Homefield Energy has joined us in our support of such a great event.” Homefield has been committed to the Southern Illinois Region and has offices in Collinsville, IL. In addition, Homefield Energy serves the majority of the Southern Illinois Chamber of Commerce Electricity Buying Group, also managed by AGE. Teams from Mt. Vernon, Herrin, Odin, Lawrenceville, Murphysboro and Sparta will be joined by Chesterfield, VA who won last year’s inaugural Pinto World Series. International teams from Paradara, Aruba, and Manila, Philippines, will also be participating. The JCSA invites everyone to the ballpark to experience the joy and sportsmanship demonstrated by these young people. For more information about the Pony Baseball Pinto World Series, contact Steve Miller at (618) 967-4073 or s.miller@pony.org.